456 p., 14,8 x 20,5 cm. Shaftesbury, whose impact on the German Enlightenment, and above all on Wieland, Mendelssohn and Herder has scarcely been studied, is receiving more attention today, and deservedly so. 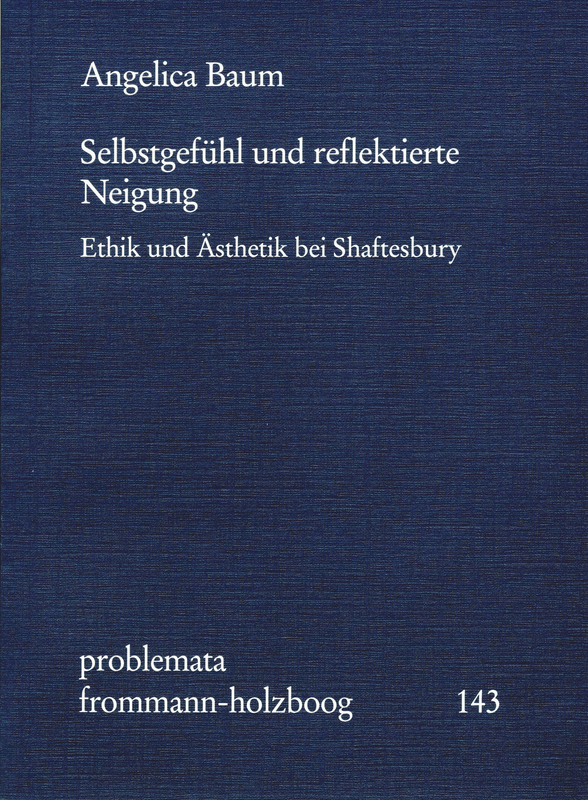 Using Shaftesbury‘s philosophy of the forms of life, Angelica Baum, examines a new concept that was edging itself into the philosophy discourse around 1700 under the name »feeling.« Shaftesbury‘s »discovery« of feeling had sweeping anthropological, ethical and aesthetic consequences: It questions the uniformity of human nature and is combined with a critical reflection of the bounds of reason which reflects the fact that human action is not primarily and exclusively governed by reason. This opens up an area of valuable experience which leads to the moral sense theory and to aesthetics. In this conflict between aesthetics and ethics, the author does a philosophical analysis of the term »feeling« and its complexity. In ihrer verdienstvollen Shaftesbury-Monographie [...] dokumentiert Angelica Baum die in den Schriften diskret verhüllte Belesenheit des ›Gentleman-Philosophen‹ und die von keinerlei Dogmatik getrübte Aufgeschlossenheit, mit der er auf das Denken anderer zuging.